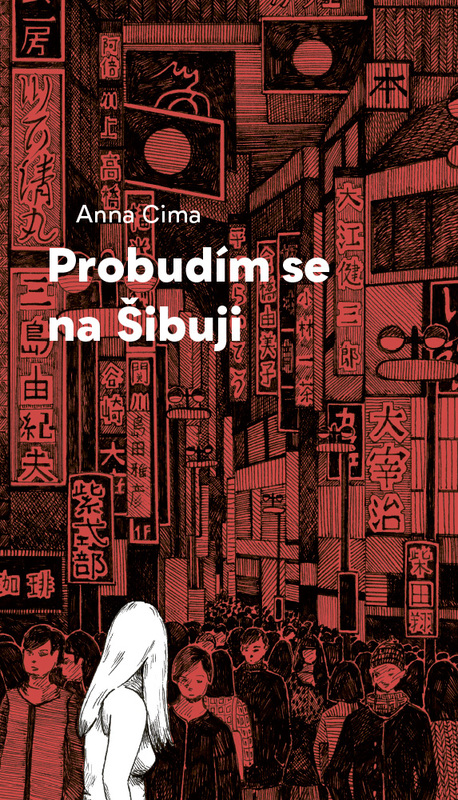 Japanologist Anna Cima’s debut novel is a contender for Czech literary discovery of the year. A teenager called Jana finds herself in the lively Tokyo district of Shibuya. Her slightly older alter ego is studying Japanese language and culture in Prague, attempting to translate and trying to get a scholarship in Japan. The life story of the author whose work Jana is translating with a friend – the forgotten prose writer Kawashita – works its way into the mind and fate of both versions of Jana. This prose debut by the young Japanologist, with its readable and refreshingly colloquial yet in no way trivial language, looks at ways of absorbing and understanding different cultures as well as the contradiction inherent in a dream come true and presents Japan and its culture in an erudite but far from dull way. Anna Cima (1991) is a first-time novelist. She graduated in Japanese studies from the Arts Faculty of Charles University and currently lives in Japan, where she studies postwar Japanese literature. As well as writing, she also devotes herself to drawing and music. Probudím se na Šibuji (I Wake Up in Shibuya) is her literary debut and has captured the attention of critics and readers alike. An excerpt from the novel was also selected for the 2019 Susanna Roth Award for beginner translators of Czech.